If you have been arrested in New York then you need a criminal defense attorney with the experience to best help you resolve your case. Elliot H. Fuld is an experienced New York criminal defense attorney. 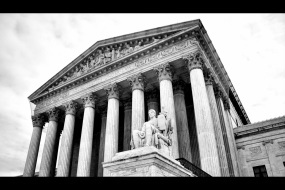 For over thirty years, our criminal defense lawyers have accompanied clients to state and federal courts. We afford our clients who have been arrested with an aggressive defense to assure that their constitutional rights are being protected. We handle all matters of criminal defense from assault, robbery, burglary etc. to narcotics, conspiracy and weapons charges. We also assist our clients at all phases of their defense, from arrest, through arraignment, motions, trial and, if necessary, on appeal. Our criminal defense lawyers appreciate the importance of every arrest and understand the consequences each could have on a person’s immigration status, employment or eligibility for public housing. Elliot H. Fuld and Judah Fuld are happy to meet with you for a free consultation and are accessible via e-mail, cell phone or personal appointment. Contact us today to setup an appointment.